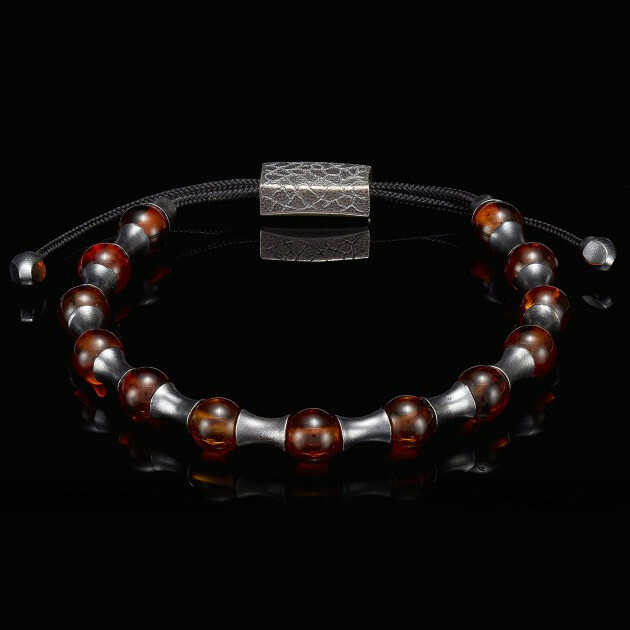 This William Henry bracelet will be the high point of any men's jewelry collection. 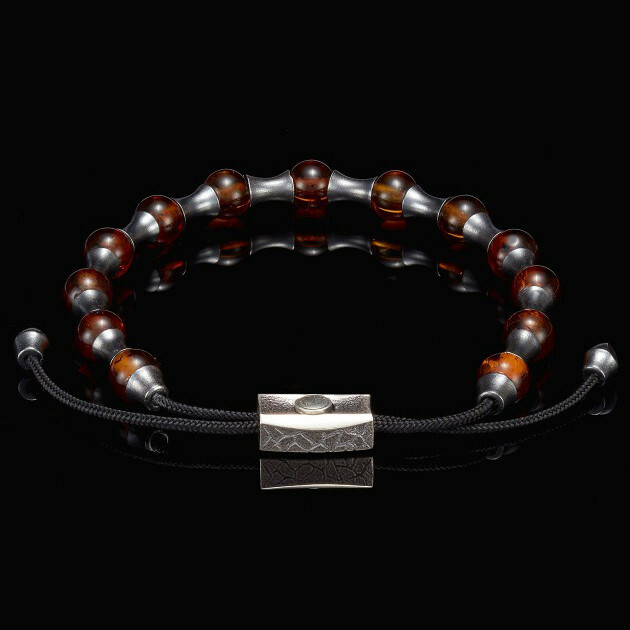 Beads of Baltic amber alternate with sterling silver spacers in a rich satin gunmetal finish along a durable paracord with precious metal tips. The fully-adjustable piece of jewelry has a spring loaded clasp that locks at the location of your choice. Wear this beautiful bracelet from William Henry alone or stacked; it's flexible in more ways than one!